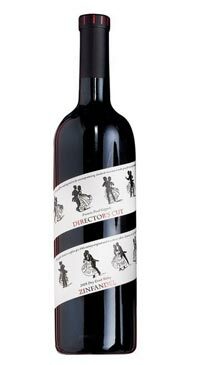 Director’s Cut is owned by Francis Ford Coppola. The winery is located in Sonoma and here, the head winemaker, Corey Beck, a Sonoma County native, makes wines that express the local terroir with his own personal touch. These are limited production, appellation-designated wines sourced from Sonoma’s diverse and distinctive micro-climates. Named after the version of a film which most reflects the director’s vision. Made with fruit grown entirely in the Dry Creek Valley appellation, this unique Zinfandel includes small amounts of Petite Sirah. Half of the fruit is crushed whole, and the must is fermented in open-top fermenters for maximum colour extraction and flavour enhancement. The wine is aged in French oak, which adds the essence of toasted spice and French vanilla to heady aromas of rum raisin, black currant, and red cherry.